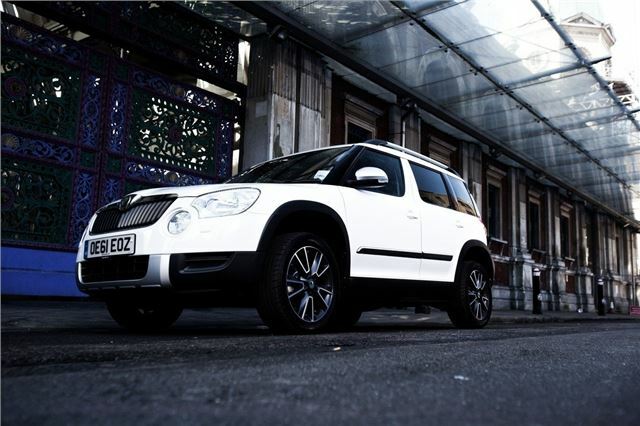 Skoda is to produce a limited run of Yeti ‘Urban’ special editions, which feature as much as £2,450 worth of extra equipment, along with stylish exterior embellishments. 750 will be made for the UK market, with order books opening in April. Prices start at £16,900. The Yeti Urban is based on the SE trim level but comes with some extra equipment as standard, including DAB digital radio, Bluetooth, satellite navigation, cruise control, parking sensors and steering wheel mounted multimedia controls. There are changes to the exterior styling, too, including black and chrome 17 inch alloy wheels, wheel arch extensions, chrome side strips, tinted rear glass and roof stripes. The interior is trimmed with red or black sports seats. Four colours are available – pearl effect black, candy white, metallic silver and metallic grey. Engines offered are the 105PS 1.2-litre TSI petrol and the 110PS 2.0-litre TDI diesel, which have respective fuel economy figures of 44.1mpg and 52.3mpg. Prices start at £16,900 for the diesel and £18,330 for the diesel.